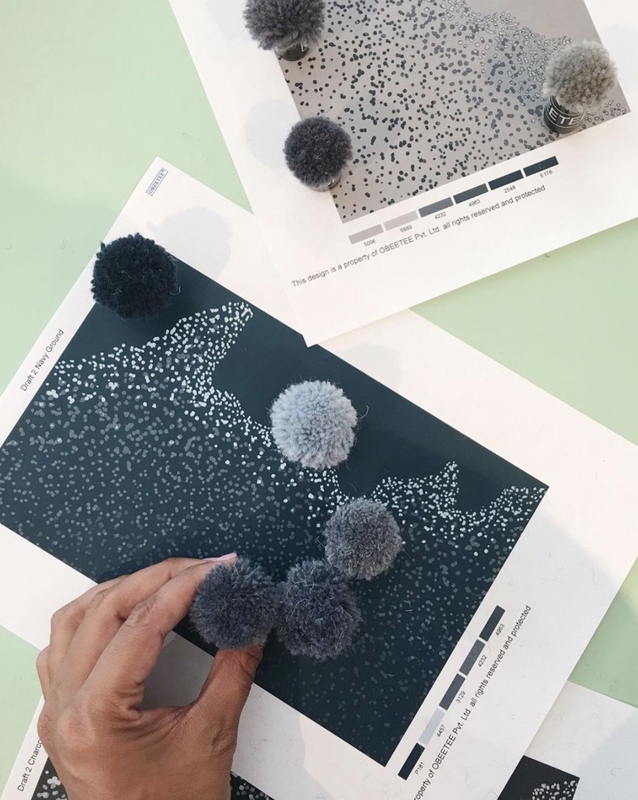 Tina, along with 16 other designers, has been asked to participate in Obeetee’s new quick ship program, which benefits DIFFA, Design Industries Foundation Fighting AIDS. The program is part of DIFFA’s Specify With Care agenda, and designers were asked to create a custom design which can be color adjusted to suit the specifiers needs. I’m often inspired by my travels, and for this project my goal was to capture the deep momentous feeling I felt when standing on the Southernmost part of the black sand beaches in Vik, Iceland. Getting lost in the endless waves was memorizing, and the perpetual crashing of the moody water against the black sand was visually inspiring. I got lost in the layers of deep, rich navy tones of the water with splashes of white from the breaking waves. The color story within my rug represents the serenity I found on that beach, the obscurity of the darkness contrasting against the clarity of the horizon. Obeetee will host a launch party for the DIFFA Collection on October 19 at its NYC flagship showroom at 137 West 25th St., 12th floor. Join us for the reveal of all designs and to bid on your favorite!